Just Between Friends Woodbury - Sell Smart! Clear the Clutter & Cash-in! Why Sell with JBF Woodbury? Families that sell with us typically earn over $350 dollars at each event and so can YOU! * We are the East Metro's & Western Wisconsin's premier consignment event. * You make up to 70% for your sold items, less a $15 consignor fee. * We do the selling for you - no failed meetups thru buy-sell-trade groups, no haggling with strangers at a garage sale. Register to consign today and we'll guide you every step of the way to bringing home a big check! Don't want to tag? Use our Valet Tagging Service or JBF Sell-It-Now! HELPING AT THE SALE has huge perks! * Consignors earn an extra 10% on their sold items, bringing their percentage to 70%! * You get to shop EARLY! Our ealiest presales are for those that help. As little as 4 hours gets you in the door early! * We have fun putting on this great event! The event is high-energy and filled with smiles. Be a part of the JBF Community and make some new friends! Drop-Off Times: Separate drop-off times are availble for each consignor type. Click here to choose your drop-off time. Express Drop-Off is available for those that tag ALL of their items for REDUCE and DONATE. You check-in and we put it out on the sales floor for you :). High-Volume Consignors: Consignors with more than 300 items and not marking all their items for reduce and donate. Standard Consignors: Consignors with less than 300 items and not marking all items for reduce and donate. Second Dropoff (optional, no appointment necessary): Thursday May 9th, 7pm-8pm for everything except clothing. All Items will be sorted and ready for you to simply check-in and get them. What happens if I can't make it to pick-up time? * At 9:01pm all remaining items are donated to our charity partner, New Life Family Services. * Sorry, due to our rental agreement with HealthEast Sports Center we must be out Saturday night so there are no exceptions. How to Prep, Price & Tag Anything! What Do I Make? How Do I Do It? Consignors make 60% of their sold items or 70% if they volunteer to help for at least one shift. The regular consigning fee is $15. A $20 late registration fee applies to those that register less than 7 days prior to drop-off. We are a seasonal sale - see the 'What Can I Sell' list in the Quick Links above for what is accepted in Spring or Fall. You will prepare and tag your items at home when convenient for you using our online system. During drop-off you will place your items onto the sales floor. You get to choose what happens to any of your items that don't sell - donate to our great local charity or pickup at the end of the sale. Your profit check is sent out within two weeks of the sale end. Take advantage of these great special offers! Offer #1 - Mark all of your items for REDUCE AND DONATE* and we will waive your consignor fee AND give you Express Drop-Off. Express Drop-Off means you check-in at drop-off & go - we inspect and place your items on the sales floor for you :). Offer #2- Volunteer for 8 or more hours at the event and we will waive your consignor fee :). Offer #3- Register to consign by 2/17/19 and get the early bird consignor fee - only $12 :). Large Item Lotto! - Sell large items at the sale and you could win 75% on your sold items! As large items sell, their yellow tags will be put into a drawing. Two winners will get paid 75% on ALL their sold items! These items are always in high demand so to BOOST your check be sure to tag these items and bring them to the sale! - Hangers - we accept plastic or wire hangers, they simply need to be the appropriate size for the item. To avoid damaging the clothes, tagging barbs should be placed thru the item's original tag or thru an inside seam. For shirts, the inside seam of the left shoulder is a good one. See example pictures here. Over half of what you tag will likely be hung - here are tips for preparing them. These are the items that should be placed on hangers: infant - maternity clothes (including onesies and swimsuits), baby carriers, infant blankets and backpacks. You can sometimes get hangers for free at stores such as Old Navy and Kohl's. Otherwise, both Target and The Dollar Store have them at low prices. You won't get your hangers back but anything you buy will come with a hanger. There is a $3 minimum for all hanging clothing items. If a clothing item is not worth $3 on its own, pair it up with another item(s). This minimum does not apply to non-clothing items or clothing items that are not hung (ie baby carriers or clothing accessories). When looking at the front of your hung item on the hanger, the hook of the hanger top should mimic the shape of a question mark. (looks like - ?). If it seems like an item will slip off the hanger, use a safety pin at a shoulder to secure it to the top rail. Pants should be pinned to the top rail of the hanger to prevent them from slipping to a bottom corner so that shoppers can easily see the full item. The consignors that make the most money use SHOPPER-FOCUSED pricing. Simply ask yourself, 'what price would make me buy this item immediately and then brag about it to a friend?' That is shopper-focused and it will get your items sold! $1-$2 per clothing item for brands like Circo, Jumping Beans and Old Navy. $3 - $6 per clothing item for brands like Gymboree, Children's Place, Disney. $4 - $8 per clothing item for brands like Hannah Anderson and Janie and Jack. The 'selling sweet spot' for baby gear, toys, bags, carriers and furniture is 33% of retail. The 'selling sweet spot' for books and games is 25% of retail. You can price some items higher: new with tags, dressier, large items and hot toys. Nothing should be more than 50% of retail sale pricing though. Due to large supply of infant clothing and choosier shoppers in juniors and maternity, you'll need to price those items lower. We highly recommend that you allow your remaining items to REDUCE for the half-price sale. If they haven't sold at full price during the regular sale day, odds are they are priced too high. The shoppers that come on Friday evening & Saturday are looking for the bargains and skip past the items that are not half-off. Give your items a second chance to sell, tag them to reduce! See our great local pricing guide in the Helpful Items section below. Shopper-Focused and Half-Off - these are the two winning strategies for a big check! Items larger than what can fit into an IKEA style bag should get one of our yellow Large Item tags. Examples of 'large items' are infant swings, activity tables, riding toys, etc. Please bring your large items to drop-off with their tags unattached. We will help you add your tags to a bright yellow Large Item tag. We want to do our best to maintain security for your items. At drop-off, please make us aware of any item greater than $20 that is a potential target for theft. We will work with you to lock it in our high value cage or secure it to a sales fixture. High Volume Consignors must make an appointment for a specific drop-off time slot. See link in Drop-Off section above to choose your time. You are also required to help for one of our Saturday sorting shifts, or be charged a $25 sorting fee. This shift will count towards you getting 70% on your sales. Login to select a shift. Come into the fieldhouse to get one of our rolling racks to bring your items in. Check-in at your reserved drop-off time. Place your items out on the sales floor into their category. Place your clothing onto the racks by gender and size. Save yourself a lot of time by bringing your items already sorted by category and by gender & size. We are a 100% inspected sale & we use a No Wait inspection process. Each item will be checked after it is placed on the sales floor to ensure it meets sale requirements for cleanliness, functionality and recalls. Items must be stain-free with no odors, no holes or other damage and be of the correct season for the current sale. See infographic for what we accept each season here. Items that use batteries need to have working batteries included. If we have to add batteries to an item, $1/battery will be deducted from the consignor's check. Consignors will be given grace for up to 3 items that do not meet sale guidelines. After 3 items, 25c per item will be deducted from the consignor check for extra handling. Non-accepted items will be returned to the consignor after the sale or donated to the charity based on how the tag is designated. Items that are missing pieces will result in a $20 fee being assessed to the consignor's account (and if purchased by a shopper the price will be refunded). It takes about 10 shoppers for each consignor to get most of your items sold. Increase the odds of your items selling by telling your friends, co-workers and family members about JBF! Email Sue to get free bookmarks to hand-out to people you know or share this link for FREE admission passes. Remember how excited you were at the last sale when you found that awesome bargain? Share the joy with your friends! The tagging site is open 24/7 and you can keep tagging up until you drop-off! Gather tagging supplies (see section above). Go thru rooms, storage areas & garage - gather and clean large items. Use tagging site to enter large items (print tags and bring to sale unnattached). Go thru rooms and closets to gather outgrown clothes and toys, gear, etc that are no longer being used. Inspect clothing / toys / gear for good condition and sort by gender & size or category. Use tagging site to enter clothing / toys / gear items. Print and attach tags to clothing /toys / gear. Watch your sales add up live during the event :). No time to tag? We'll do the work for you! There's minimal prep AND no upfront costs. Fill out the online form to make a reservation. We will connect you to your personal Valet Tagger. Hand off your items and waiver to your Valet Tagger. Your Valet Tagger will price, tag and deliver your items to the event for you :). Sit back and wait for your check! Valet Consignors make 45% of their sold items (or 50% if you help at the sale), minus valet fees. Have more questions? Check out our Valet Tagging FAQ's. Hurry - our openings are filled on a first-come, first-served basis! Sign Up Today! Don't want to wait for our next event to make money? Sell-It-Now with JBF! We will be purchasing specific types of items to tag and resell at our events. Garage sale pricing will be offered for quality, name brand items in great condition. We will pay you in cash on the spot. 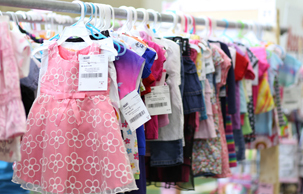 Items we purchase for this program are baby gear, bigger items or high-end clothing brands in sizes 4T and up. Gather your clean items from the list above. Email SueEndle@jbfsale.com to make an appointment or attend one of our special Sell-It-Now Days. I am New to JBF! We Can Help You Mama! Not on facebook? Email SueEndle@jbfsale.com for answers to your consigning questions. Want to Shop EARLIER and Earn MORE?